I lay on my stomach in the cool, soft grass. A canopy of intertwining branches shaded me from the summer sun. A breeze ruffled my pony tail. But I didn’t notice these things. I was being transported to another time, solving the secret of the mysterious tunnel with Mandie, the heroine of one of my favorite mystery series. As a kid, extra time to read was always one of my favorite things about summer. Whether at the pool, on the beach, on road trips, or in my own back yard, I always had my most recent read tucked under my arm. Recently, I’ve been taking my kids along with me on my reading journeys. Not only am I excited to share with them some of the great books I read as a child, I’m also ready to discover new stories written by some excellent authors who have created new worlds, new characters, and new adventures. 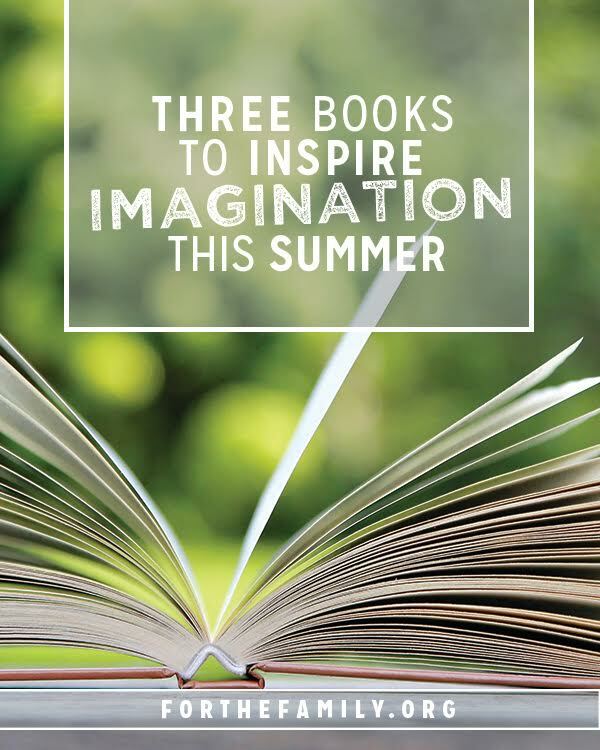 Summer is the perfect time to ignite your children’s imaginations. Whether you read these books as a family or offer them as suggestions for independent reading, you should be ready for a mystery and excitement! Join me over at For the Family to find out more!